Home > Special Offers > Service & Parts > Store Your Tires with Us! Store Your Tires with Us! Come store your tires at Lethbridge Volkswagen! It's only $59.59 per season! 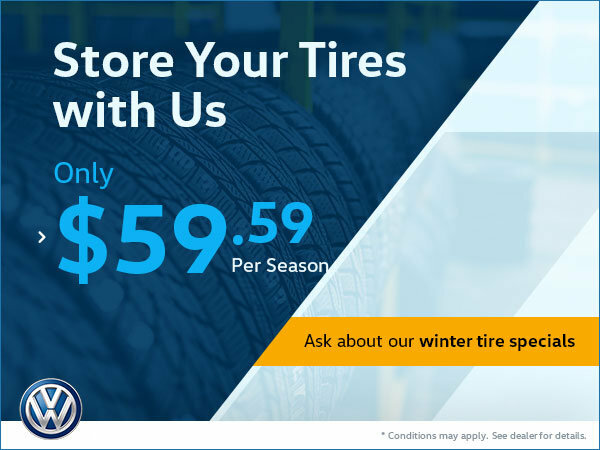 And ask about our winter tire special.